I’m writing to you from a sunny Brazil this morning. In Fortaleza, we celebrated the opening of our 3rd Brazilian destination. 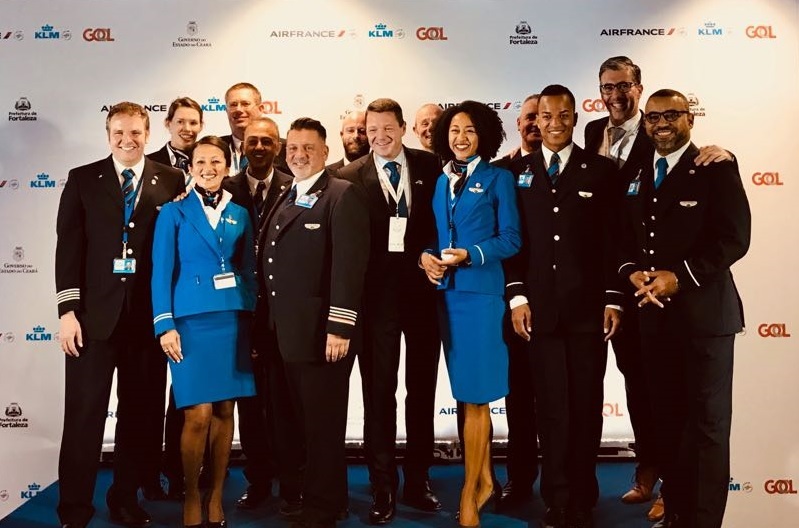 This marks a joint opening for KLM and Air France (Joon) enabling passengers from northern Brazil to travel via Amsterdam or Paris, reflecting our effective dual-hub approach. Air France-KLM’s Q1 results were published today. AF-KL booked a negative operating result of €118 million, representing a decrease of €85 million compared to the same quarter last year. At Air France, the operating result fell by €120 million from ‑€58 million to -€178 million. 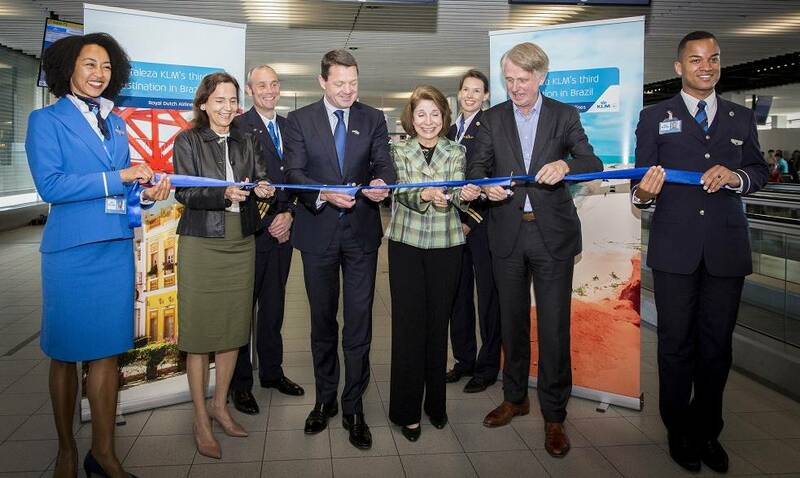 KLM’s operating result for the same period increased by more than €30 million to +€60 million. The Air France results were heavily impacted by three strike days. I am extremely pleased with the good results achieved once again by KLM in Q1, despite the higher price of fuel. An improvement driven by the combination of increased capacity (+4.6%), higher passenger load factors (+1.8 percentage points) and a higher average yield from passengers and cargo. We also succeeded in improving our operating margin to 2.5% in comparison with 1.3% in Q1 2017 and we welcomed 6.9% more passengers this quarter. KLM Passenger Services as well as Transavia, Cargo and E&M all showed improved results. This is a clear sign that we can achieve our goals if we work hard together. Many thanks for all your efforts! Unit costs increased slightly. This was caused by a number of factors including recovery costs linked to operational disruptions and striking at Transavia. This makes it clear that we must continue to focus unrelentingly on reducing unit costs in the coming period. The impact of operational disruptions also affected customer appreciation. With an average net promoter score (NPS) of 40 for the quarter as a whole, we succeeded in improving the score by one point in comparison with the same period last year, although we are still three points removed from our target figure of 43. Yesterday, after a festive departure ceremony at Schiphol, I boarded the first KLM flight from Amsterdam to Fortaleza. Fortaleza lies around three hours to the north of São Paulo in northern Brazil. Initially, we will be flying twice a week with A330-200 equipment and a third flight will be added with effect from July. Fortaleza is our third Brazilian destination over and above São Paulo and Rio de Janeiro. This is a major step forward. KLM will then be operating 17 flights a week to the biggest country in South America. Together with Air France, we have further expanded our position in the Brazilian market in recent years. The cooperative relationship we enjoy with our local partner GOL has been crucial to this. GOL’s Brazilian network ensures that one in five passengers who fly with us to Brazil take a connecting domestic flight with GOL. The May holidays started in the Netherlands last week. 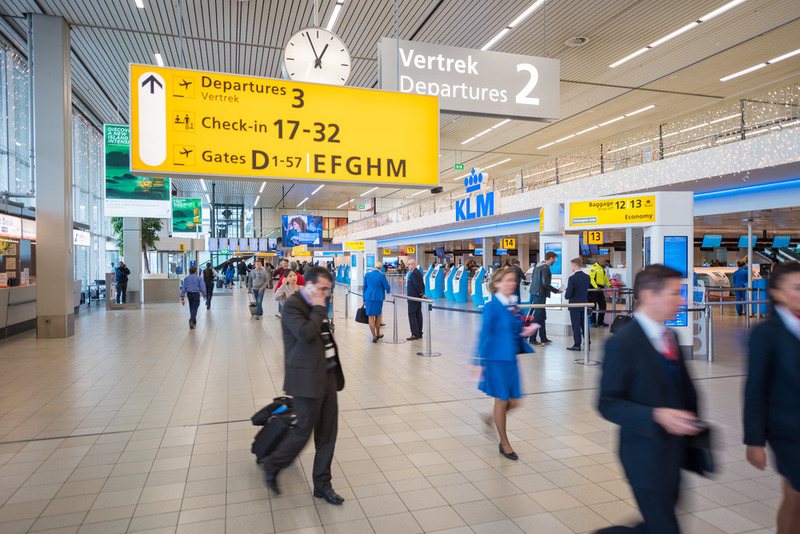 A week in which around five million passengers are expected to travel to, from and via Schiphol. Thanks to the good preparations we made this year, things seemed to be getting off to a good start. Unfortunately, Schiphol was again hit by a power outage that effectively paralysed the check-in system last Sunday. Passengers and KLM employees were also prevented from accessing Schiphol. We had to cancel 86 flights and those flights that were carried out suffered significant delays. Operational disruptions of this order are not only very harmful to the customer experience, but they also place enormous pressure on our operational colleagues. I would therefore like to express great appreciation to everyone who worked so hard to limit the damage to our passengers caused by the power failure. By the end of the day, 90% of the affected customers had been rebooked and delays had been reduced to less than an hour. We are of course discussing “how this could possibly have happened” with Schiphol. Last Thursday – the day before King’s Day – I was allowed to hand out the traditional Blue Hearts at the Crew Centre. 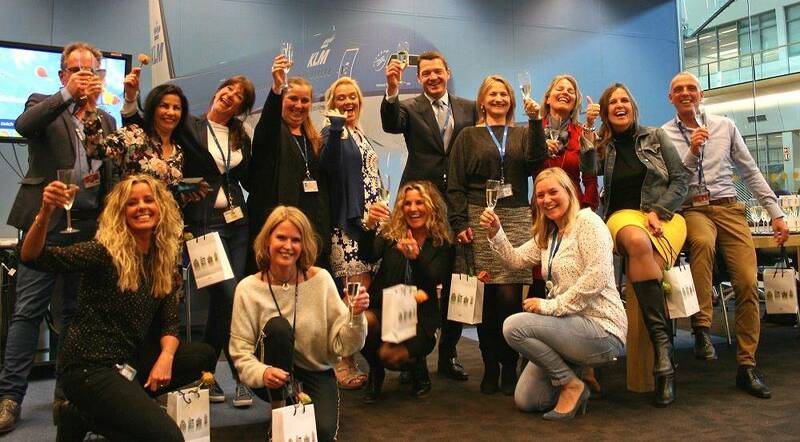 This award is intended for and bestowed by KLM cabin crew members to shine a light on colleagues who excel. It’s great because the winners don’t get any advance warning and are so surprised to receive acknowledgement in the form of a Blue Heart. It’s also great because they are nominated by their own colleagues via Yammer. The Yammer platform is very popular amongst staff at Inflight. It boasts more than 8,000 members and being nominated by your own colleagues serves as a special token of appreciation. In my opinion, this is a great example of “change, PARTICIPATE and win”. For, by and with KLM colleagues. After an intensive period of negotiation, agreement in principle was reached last Tuesday between KLM and the VNV trade union. The most important points covered in the new collective labour agreement are the resolution of a number of ongoing differences with KLM, a comparable wage increase and term as for cabin crew, and a different work/leisure routine on one hand coupled with increased flexibility on the other. I would like to thank all the staff members involved in this intensive process for their contributions. I am pleased for both parties that a satisfactory agreement has now been reached to serve as a starting point for further elaboration. Last Tuesday, I expressed my concerns via Yammer about the ongoing unrest at Air France, and many KLM employees share these concerns. And this is logical, of course, since the strikes have an impact on Air France as well as the entire AFKL Group. All the more appreciation for the efforts of our AFKL colleagues worldwide, who do their utmost to limit the negative impact for our customers as much as possible. I would therefore once again like to express my support for my colleagues Jean-Marc Janaillac and Franck Terner for their efforts directed at resolving this situation. The outcome of the consultation today is a very important moment in this respect. The past quarter was not simple, but we nonetheless succeeded in performing well. While my previous column was full of positive news, we have also suffered a number of setbacks in recent weeks. We’ve nonetheless shown that we can overcome these setbacks together. This reinforces my conviction that we are still on the right track and that we will continue to succeed as KLM in the forthcoming period. I found the words of Brazilian football hero Pelé to be a fitting reflection on this first quarter.